Today’s Flash Back Friday comes from Episode 207, originally published in June 2015. 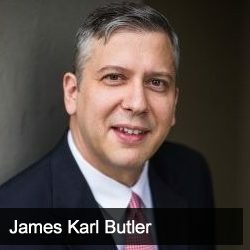 James Karl Butler is a serial entrepreneur who has built four companies from the startup phase into a million dollar business. He is the author of seven books and talks about his most recent book, The System is the Secret. He tells Jason why it’s important to have a good system in place and how strong systems are the key to business growth in any industry you are in. [18:35] How do you find good talent for your company? What’s the hiring process? [23:30] Ask your potential employee lots of questions about your business to see who they are as people and also see where you’re business is lacking.